Nothing makes a better impression on your account buyers than a sales rep who has done their homework; they’re prepared and have considered what the account’s customers want. Help your buyer, make their job easier, and it’s very likely that they will return the favor by becoming steady accounts for you. Reliable accounts can provide you a consistent source of business and are often receptive to helping you implement market visits and events that will help you, your producers and your accounts. 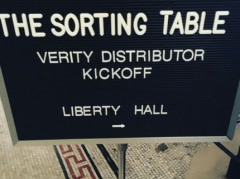 What’s the “Traffic Pattern” at Your Accounts? Whether it’s a wine shop, a restaurant or a wine bar, every neighborhood has its own dynamic, one that can dramatically impact the amount of foot traffic and available tables at a given time of day, respectively. Does the store get a commuter crowd earlier/later in the day? Does the restaurant or bistro get a local or business crowd for lunch? How does this breakdown change for dinner? What’s the Customer Behavior at Your Accounts? How much time do customers/guests spend in the store/restaurant? For a wine shop, is it a neighborhood crowd that comes in for a quick purchase for dinner during the week? For a restaurant, is it a chain with a list built on big brands? Is it a wine bar with “serious, curated” selections by a somm? Does the Staff Need Shelf Talkers or Store Displays? For a wine store, how is the staff? Is it a minimal number of salespeople and do they know their stuff? Is it a large chain or franchise store that moves big brands? Are there lots of shelf-talkers with big point scores? Are there large store displays with coupons and/or other special promos? Many smaller stores, especially in urban areas and suburban malls or plazas, are specialty shops that deliberately don’t carry big brands but favor small production, artisanal, family-made wines and spirits. Usually, these stores have motivated, passionate, knowledgeable salespeople who treat every customer as another opportunity to “spread the gospel” of authentic, artisanal wine and spirits. These shops neither want shelf talkers nor do they carry brands where these play a role. Are the Servers or Salespeople Knowledgeable? At a restaurant or wine shop, are the servers or salespeople knowledgeable? At a well-run restaurant, bistro or retailer, the wine director, head somm or store manager will encourage a serious wine culture that is characterized by continuing education for both senior and junior staff. Always take an opportunity to do staff training at restaurants and be prepared. 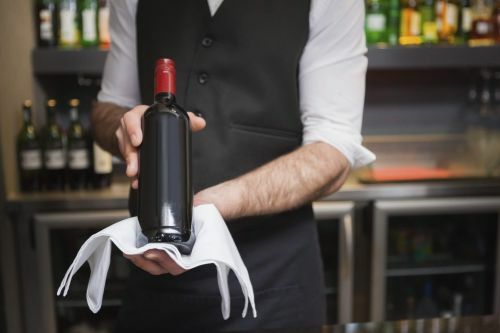 Similar to retail salespeople on the floor, a restaurant’s front-of-house staff is your “boots on the ground.” They must know the most effective way to pitch your wine and spirits, and, unlike their retail counterparts, they usually have only a few brief minutes at tableside. The most valuable resource you have is your time. Each day, there’s only so much of it to accomplish all the required tasks on your “To Do” list. Spend your time wisely. Treat the time of the buyers at your account as if it were your own. Behave and comport yourself like a professional. Don’t overbook your appointments for the day. Arrive a little early to allow for unexpected delays. Choose appropriate samples. Bring 3-6 total, not more. Unless it’s a special meeting, don’t book more than 15-30 minutes of your buyer’s time. Be focused, efficient, and have a plan with specific goals for your visit. Every James Bond film has a scene wherein the legendary secret agent is briefed on his mission. Consider yourself Agent 007 and your mission is servicing your accounts. Whether it’s a detailed, written summary or a quick topic list with bullet points, this vital information works as a tool to help you be a more effective sales rep for that account and, ultimately, for yourself. Say you get a day or two for visits in the market with a master distiller from a prestigious Single Malt Scotch producer or revered Bourbon distillery. You are given a day to work with a trend-setting, talented winemaker from California, Oregon, Tuscany or Burgundy. There’s an opportunity to host a producer for a themed spirits tasting, dinner or “master class” wine event. Off the top of your head, you should know your best five or ten accounts that would be perfect to approach for each of these scenarios. Buyers at your accounts usually know their neighborhood or area and what’s going on. Their customers, who don’t work on the wholesale level and have “no skin in the game” can offer honest, unfiltered opinions of competitors and potential leads. Communicate and form relationships with staff at restaurants and retailers. 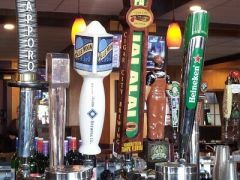 A quick bite, drink or coffee at the bar is a good way to harvest valuable information about your account, their staff and customers. 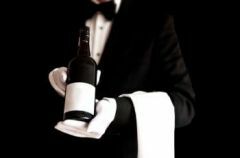 BTN interviews three veteran New York sommeliers and outlines the traits of a top-selling somm, with tips for how you can snare one for your winery's sales team. 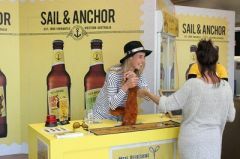 Tips for craft breweries on how to pitch retailers and design successful floor displays. 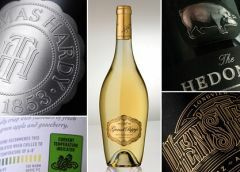 Tips on designing an innovative wine label that resonates well with your core consumer.